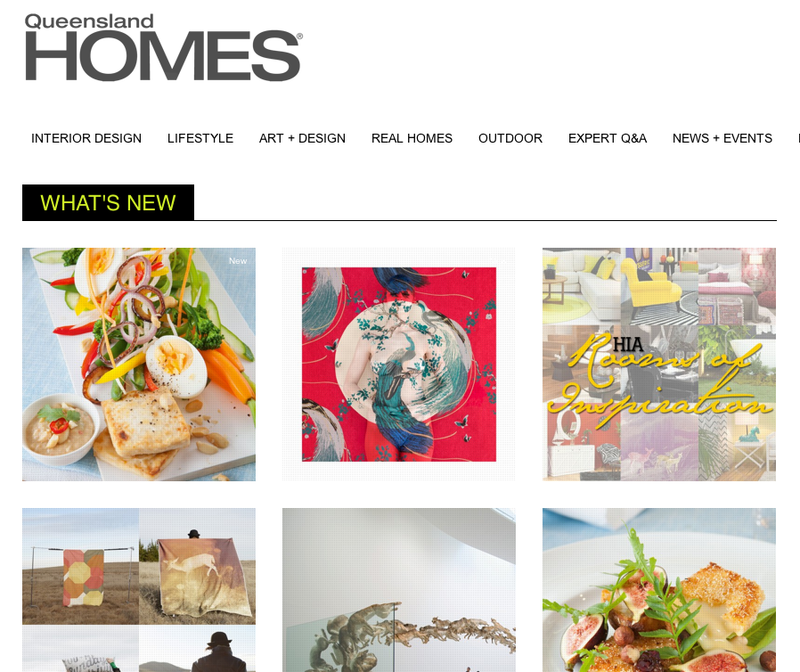 Here at QB we're addicted to Pinterest - it's PinTastic! 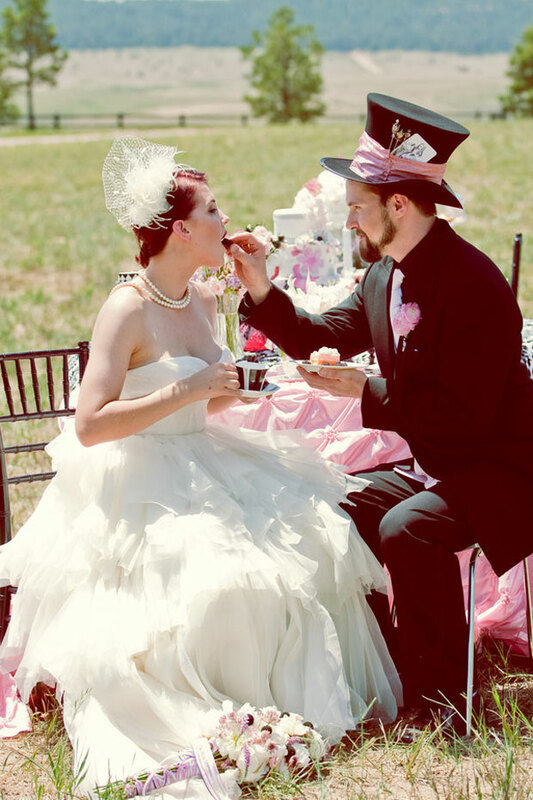 Pinterest is actually a really great resource for couples who aren't quite sure of the details of their wedding. 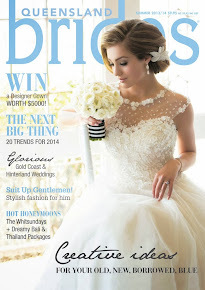 Look for hints, tips, style, themes, ideas, DIY, and of course CLOTHES! 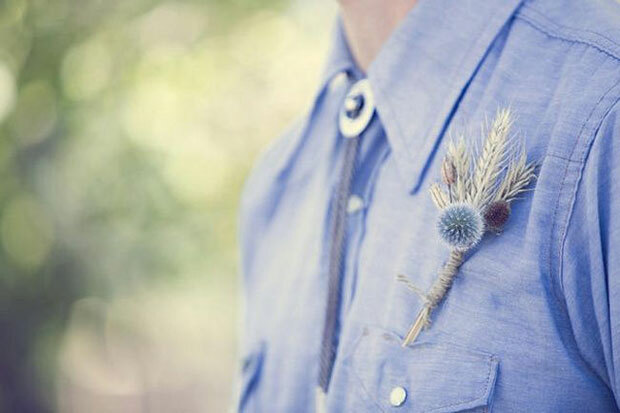 As it's Grooms' week here on the QB blog we headed straight for Pinterest to find some super quirky and original grooms and groomsmen ideas. 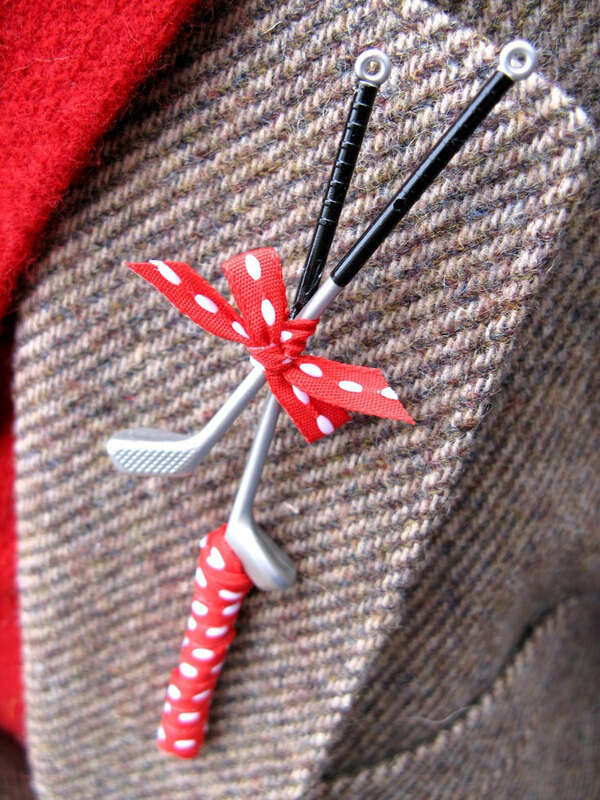 This is one classy sir! 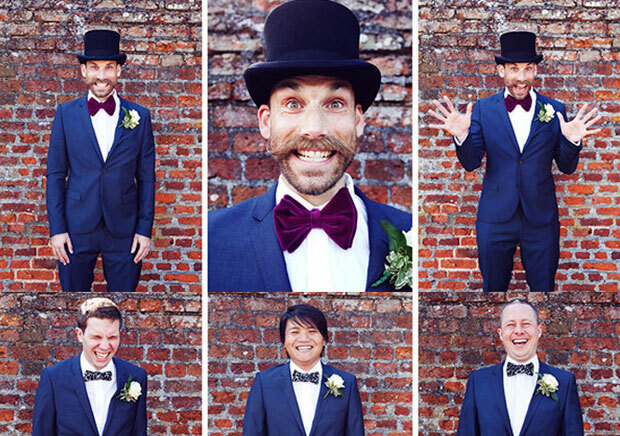 Nothing better than a velvet bowtie, a moustache and a tophat. 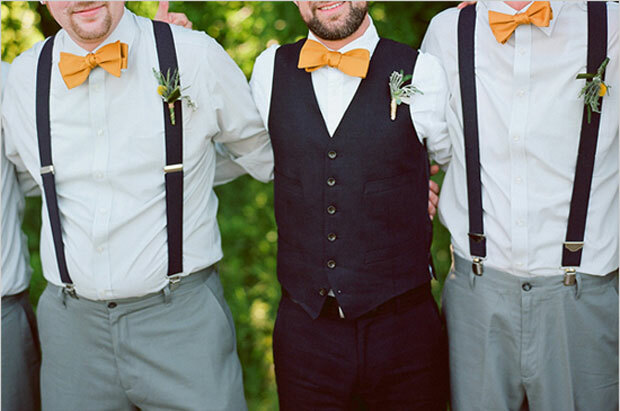 This rocking groom has got his style down to a T.
A splash of yellow unites our groom and groomsmen in this picture. 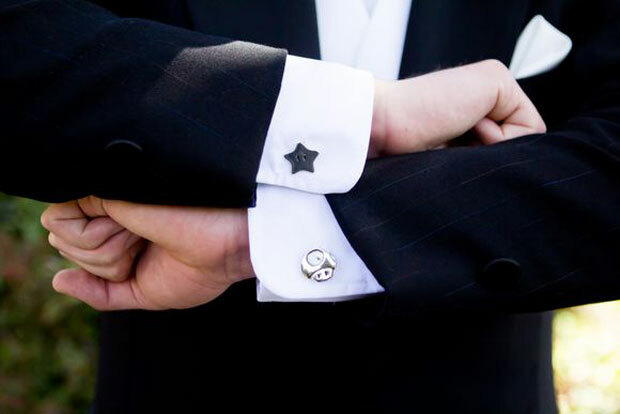 Mario Kart cufflinks - Brilliant! 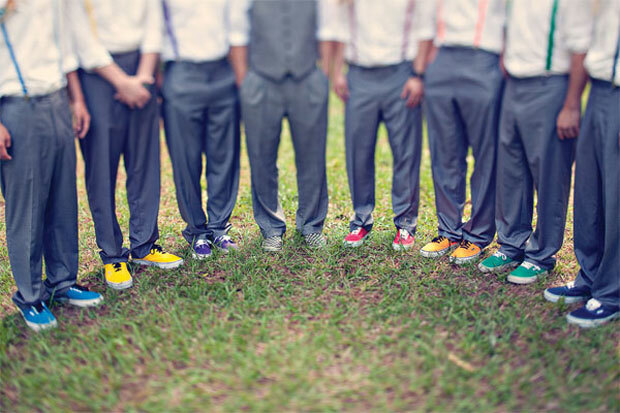 A true mix of style, these groomsmen know where it's at. Game of Thrones is all over the TV, and this photo definitely shows how much people love it. 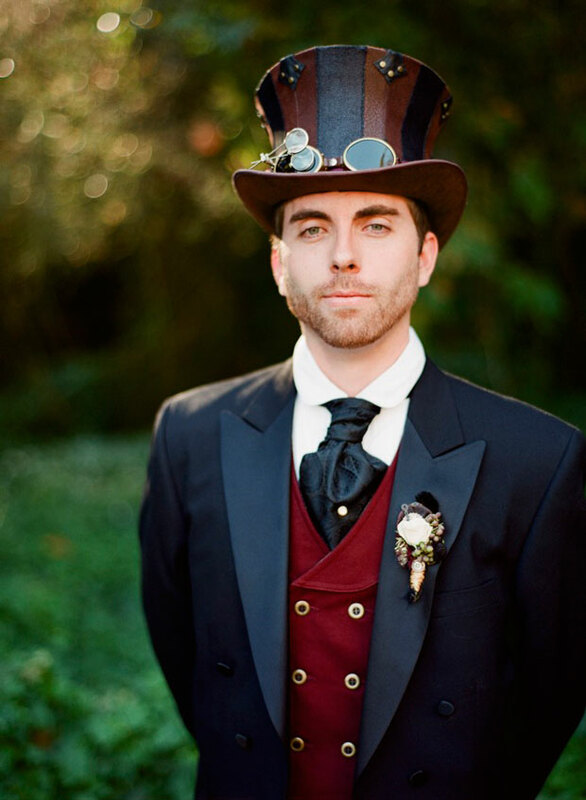 This is one classy steampunk gentleman. A little bit of old-world style. 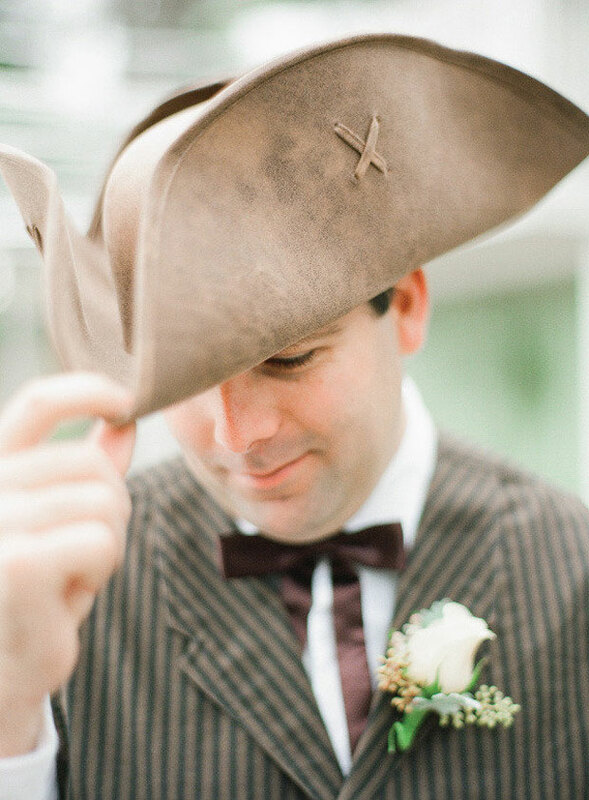 The Tricorne hat definitely makes it for us. 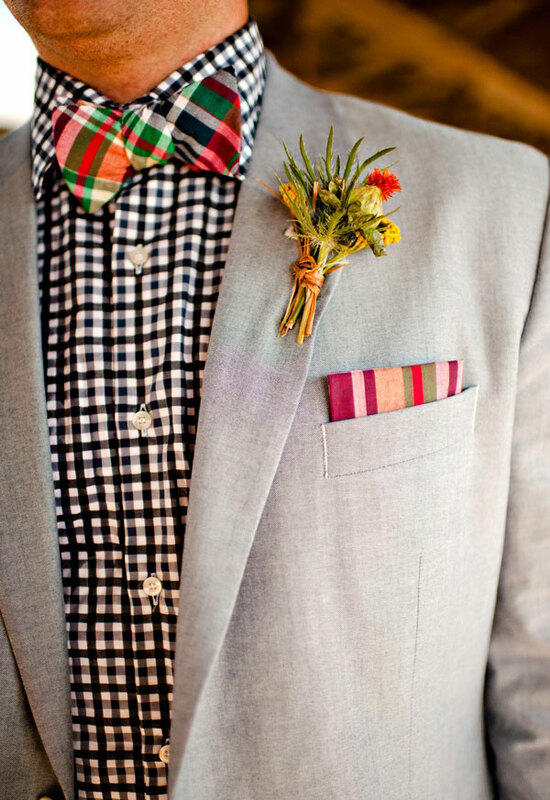 Grooms listen up! Got a favourite hobby? Let it be your inspiration for your boutonierre. Feeling a bit mad? Fallen down any rabbit holes lately? 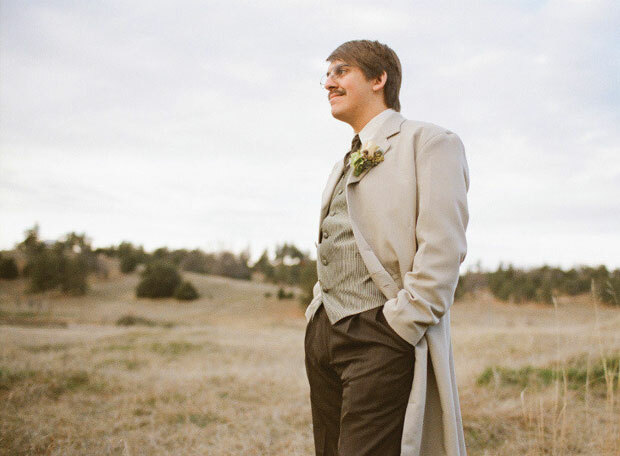 We think this groom just may have. 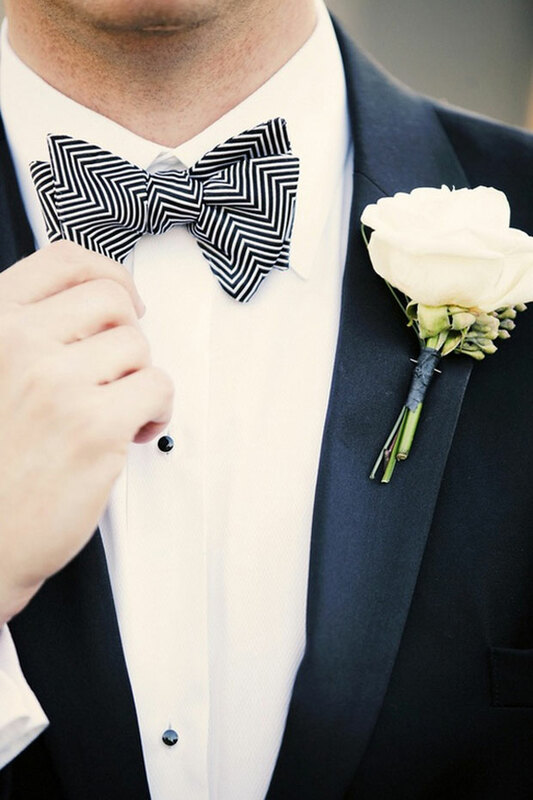 Classic tux with a chevron bow tie. Super snappy! 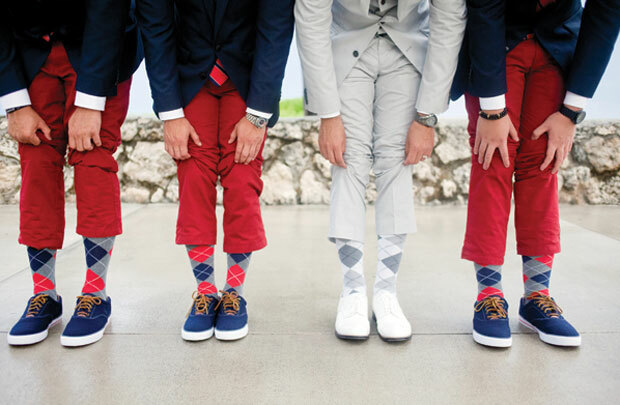 We love the combination of argyle socks, coloured trousers and sneakers that these groomsmen are rocking. 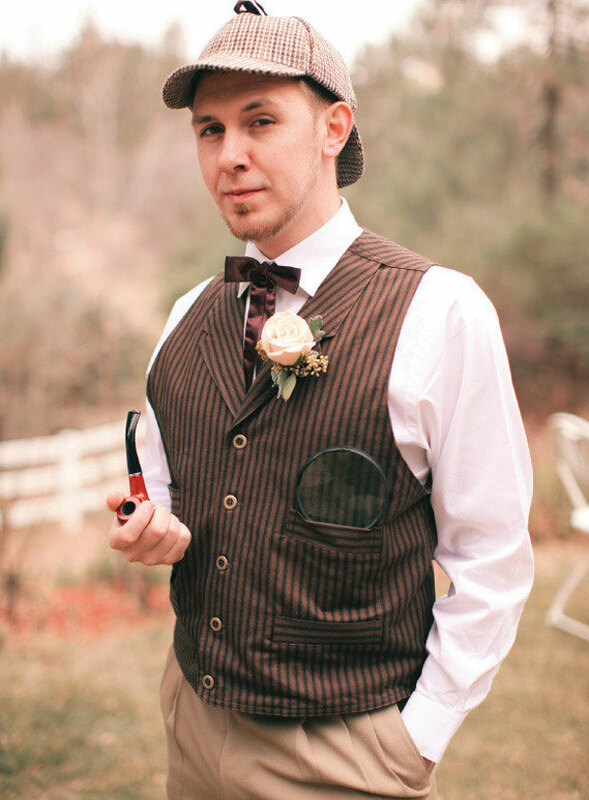 Sherlock Holmes anybody? Who's your favourite - Robert Downey Jnr, Benedict Cumberbatch or Johnny Lee Miller? Fans of Harry Potter unite! 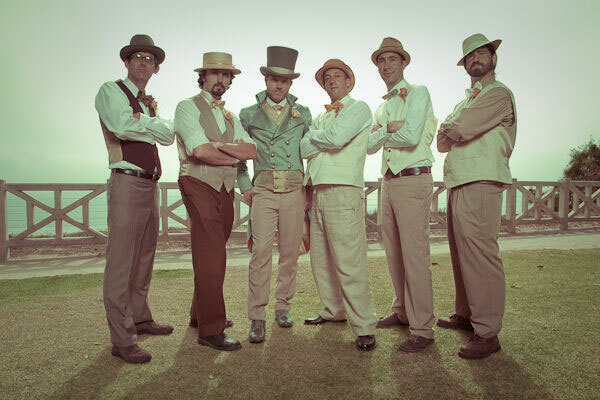 In Holy Matrimony. 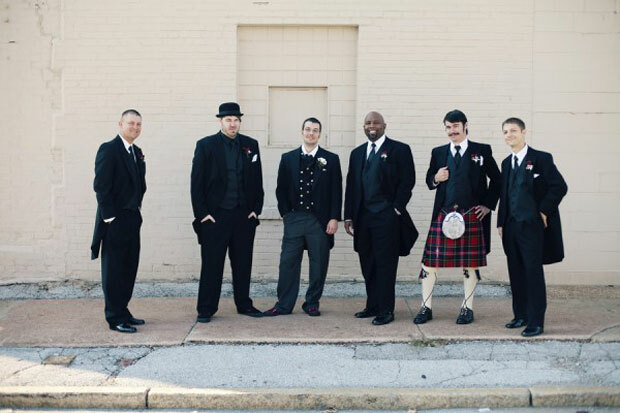 There's a few different eras depicted in this set of groomsmen, but the groom has a definite sense of English style. Books, glorious books! 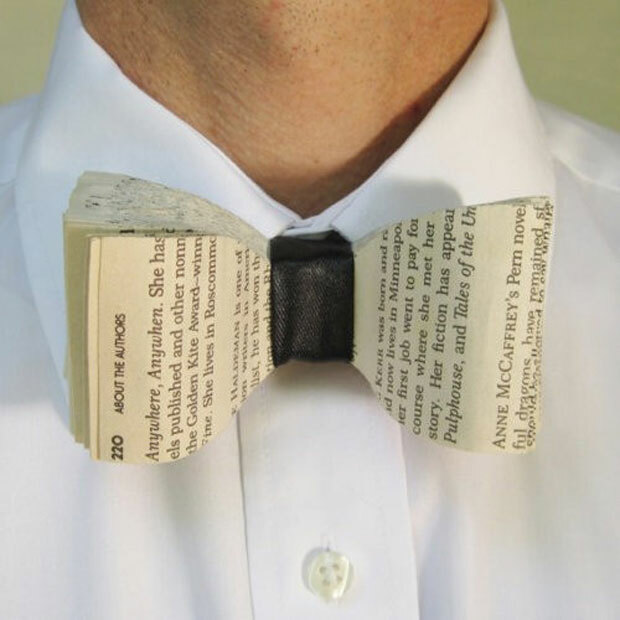 Perhaps this one could even be attempted DIY? 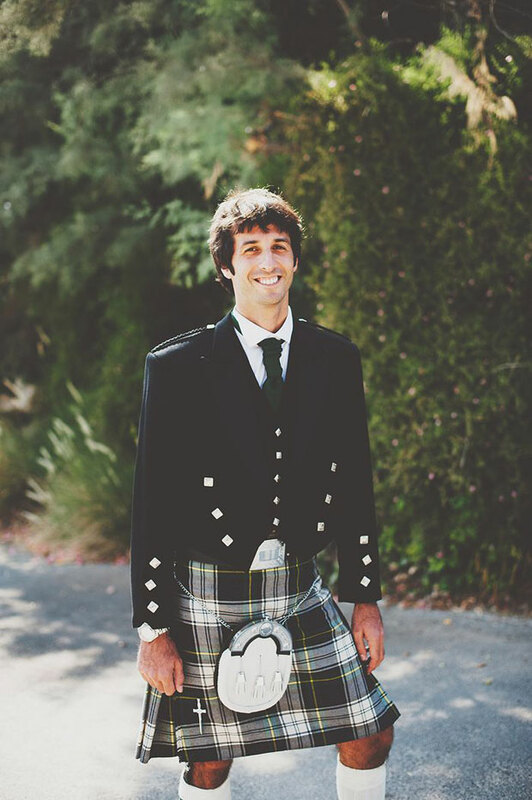 Oh we do love a man in a kilt! 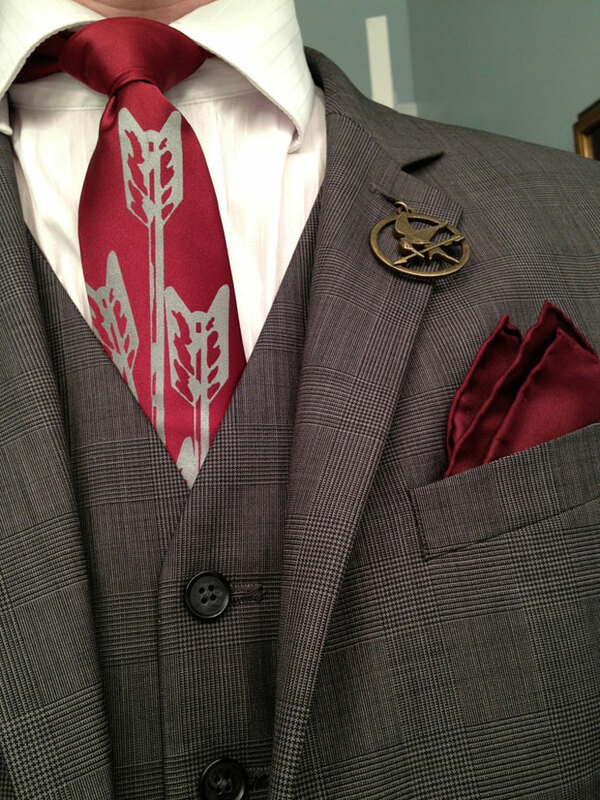 The Hunger Games is represented brilliantly in this stylish ensemble. 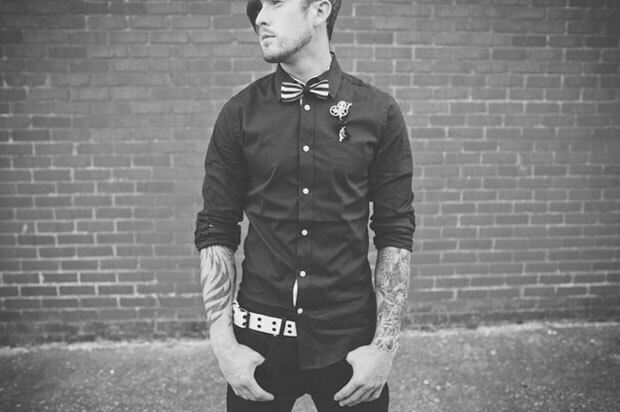 The coloured Converse and tie are our second favourite thing about this outfit. Our favourite is of course the Pacman ghost belt! Who doesn't love a pinwheel? 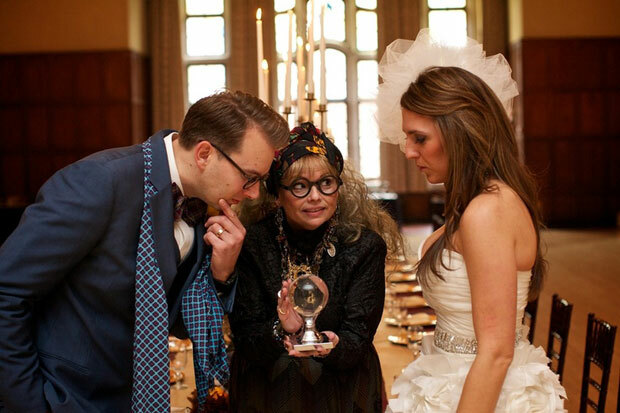 Although why this groom needs his iPod we can't figure out. 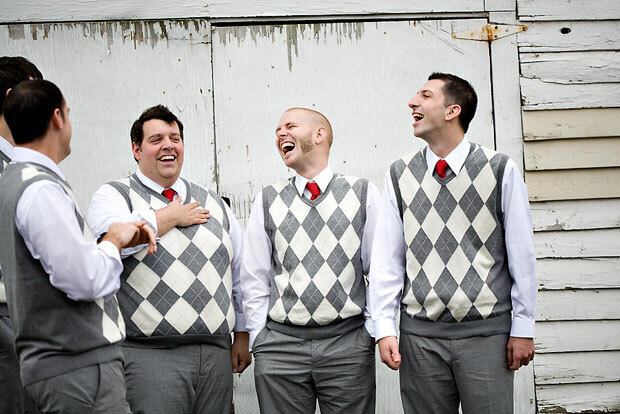 Grey and cream argyle vests topped off happily with a scarlet tie. 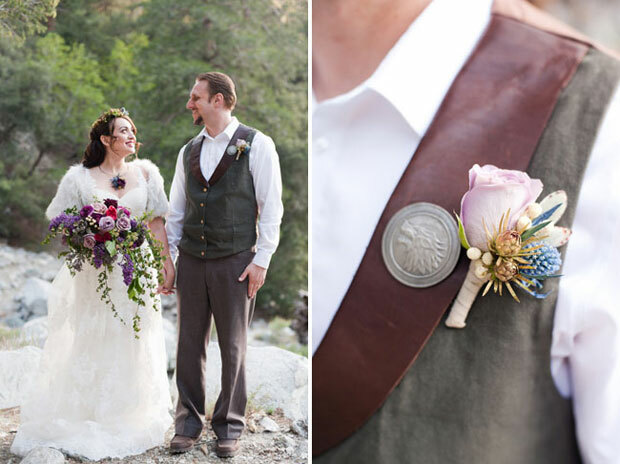 We love the soft blue that this groom is sporting, but what we love most is his bolo tie. 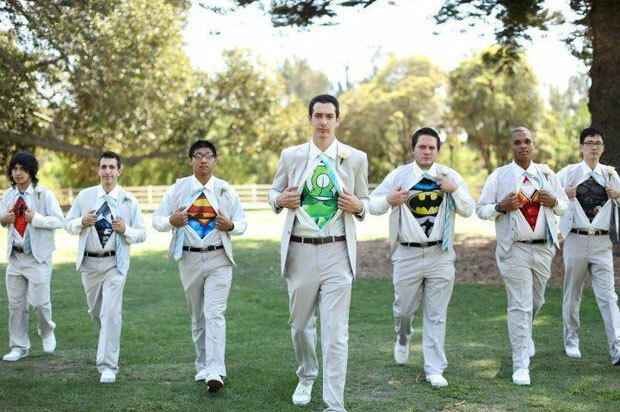 Hidden superhero shirts for the groomsmen - we give this a big tick! And here we have the king of Clashing Patterns, but somehow they work fantastically. 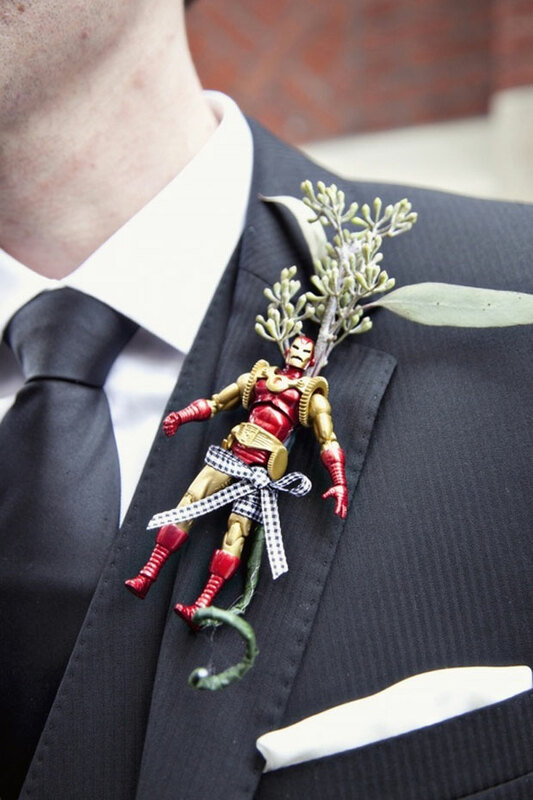 An Ironman action figure turned boutonierre? What a fabulous idea. 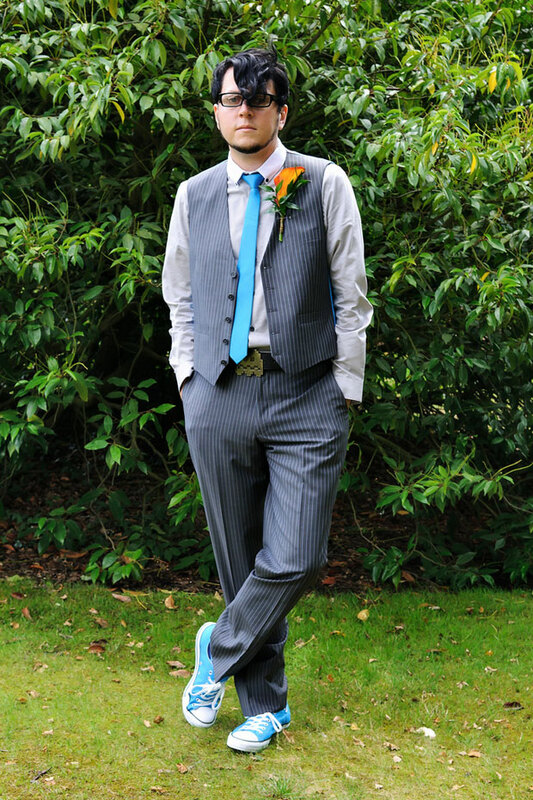 Comfortable shoes in fantastic colours - and look, matching suspenders! 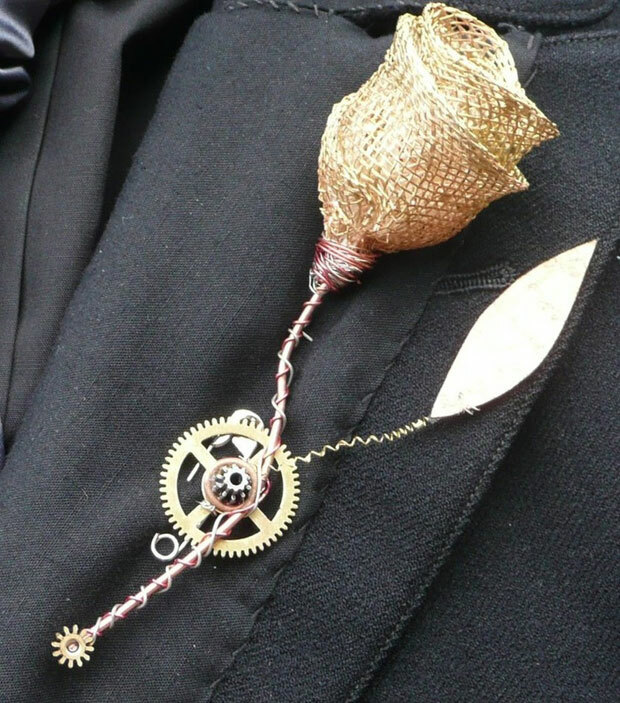 The steampunk style is represented again here. 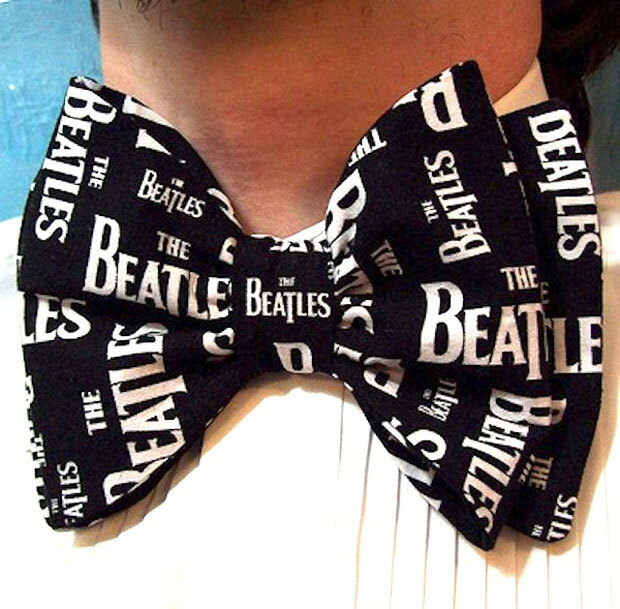 And of course, for the groom with a great taste in music - a Beatles bow tie. 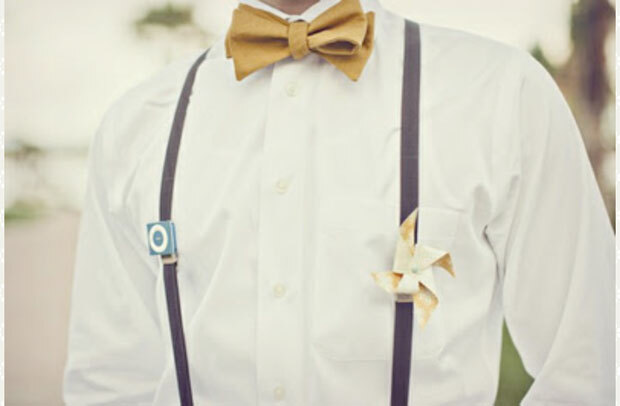 What do you think of these creative groomswear ideas? Share your thoughts with us!